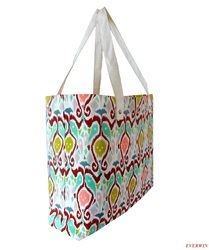 We are leading Manufacturer and Exporters of all kinds of cotton Essentials Bag . We offer Yoga Mat Bag Burgundy. Our Yoga bags can be customized as per our clients requirements. We are mainly looking for foreign Enquiries. A wide assortment of Bread Cotton Bags is offered by us to customers in bulk. 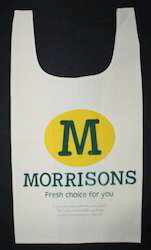 The offered Bread Cotton Bags are extensively demanded among the customers due to its supreme quality and durability. Further, the offered Bread Cotton Bags are available in the market in different sizes and colors. Yellow Full Dyed Cotton Bag, Size: 15"X15"
We have introduced a line for exclusive eco - friendly cotton bags..
Stop your bread getting sweaty by keeping it in our attractive and washable bag rather than in a plastic one. 100% cotton fabric grey color, Size: 63"
100% Cotton Natural Fabric Eco Friendly. The Fabric Quality GSM - 310gsm. It consists of 6 compartments can carry 8 to 10 kgs of Vegetables or Grocery Items.